We at Multisoft, complement your learning process by providing an unlimited pool of practice questions on varied technologies powered by unmatched analytical reports at your fingertips. Identifying your areas of improvement and maximizing the return on invested time is now made easy for you. In-depth learning analytics facilitate the career-minded individuals and professionals, to set benchmarks, incubate and successfully keep in pace with the rapidly growing industry demands. 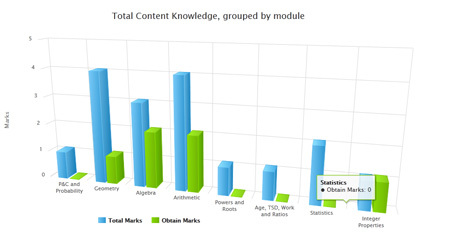 Follow success through in-depth learning Analysis! Collect all the need-to-know information on the skills, knowledge, and time management strategy precisely checked in each and every mock test your take. Compare your skills with other test takers and see how your performance is affected by the change in level of complexity of the question. The potential learners can now set higher benchmarks by effectively utilizing the strategically saved time. Get your personalized time management report now! Every second counts, as we are no longer in the industrial age. It’s time to break away the conventional methods of learning, and to adopt the effective learning approaches to keep in pace with the developments going around. 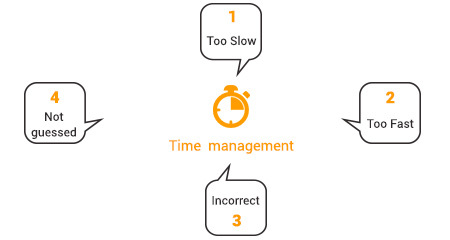 The pacing analysis, reveals every minute detail of your time and accuracy. How long you focused on the questions, individually and collectively, all comes before you, once you submit the test. Wanna try! how you performed. 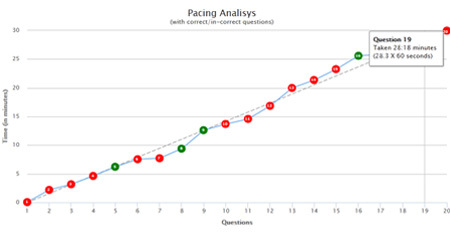 Just take a test and get amazed by the pacing analysis output. Effective learning starts with right performance analysis. This robust feature will let you experience detailed assessment of the all the questions. With easy to use navigation, designed by experts, this learning tool compares and illustrates the difference between the right answer and a choice of options you made. Detailed explanation clubbed here helps in retaining the understanding for long-term. It's high time to take the benchmarks to new heights. Remember the old student days, when you have butterflies in our stomach one day before the result declaration. How much marks you had secured, where do you stand in class and other relevant questions keeps you puzzled all through. 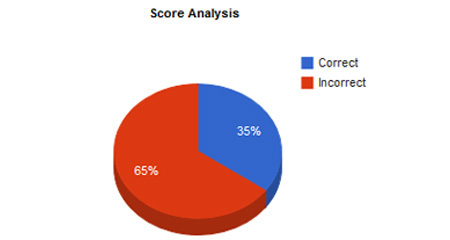 But now, all these questions are answered immediately, through score analysis, as and when you click the submit button on the test. Leverage this functionality and check your knowledge on different courses for as long as you want!